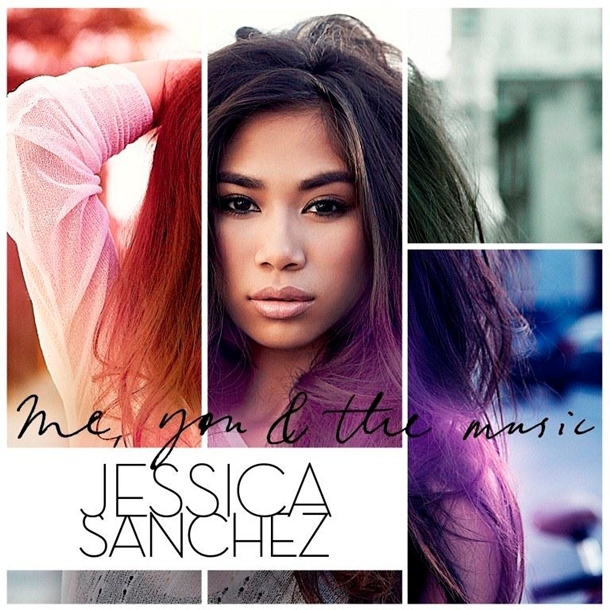 Cheesy lyrics and cluttered production plague about half of the 11 tracks on Jessica Sanchez’s debut album, “Me, You & The Music,” but her rich, powerful vocals still make it worth a listen. Aside from lead single, “Tonight” (which I’ve raved about a couple times already), the standout song on the album is easily the Sia Furler and Toby Gad penned, “Gentleman,” which finds Jessica singing about needing a chivalrous man to come along and sweep her off her feet (err, “put it on” her). Other favorites include the Ester Dean collaboration, “Plastic Roses,” the Benny Benassi produced, “No One Compares,” and the sickly-sweet ballad, “Crazy Glue” (which, in spite of its childish lyrics, is actually a really a fine showcase of Jessica’s incredible vocal talent). The rest of the songs on the album range from fun mid-tempo pop (“Don’t Come Around”) to frantic, cluttered dance (“You’ve Got The Love,” which sounds like 10 different songs being played all at once). All in all, the album’s a quick, breezy listen. You won’t find anything groundbreaking, but Jessica always sounds fantastic. It’s clear that with label support, she has the potential to grow into a successful pop artist in the coming years. Unfortunately, Jessica doesn’t seem to be getting a whole lot of label support at the moment. Interscope took a while to give “Tonight” an official radio adds date, and it’s only had one measly promotional performance so far. No wonder the song is under-performing! It’s not uncommon for former American Idol contestants to quickly put out a lightweight first album in order to capitalize on their fame, but if the label doesn’t have their back, they may never have the chance to show what they’re really made of on album number two. Just ask Haley Reinhart, the American Idol alum who Interscope dropped at the end of last year just months after the release of her debut album, “Listen Up!”. I hope Jessica doesn’t share the same fate. “Me, You & the Music” is available for download on iTunes now, It’s also streaming for free on Spotify. If you’re thirsty for some new pop, it might be just the thing to tide you over until some of the bigger spring releases arrive!